Rest of the world? 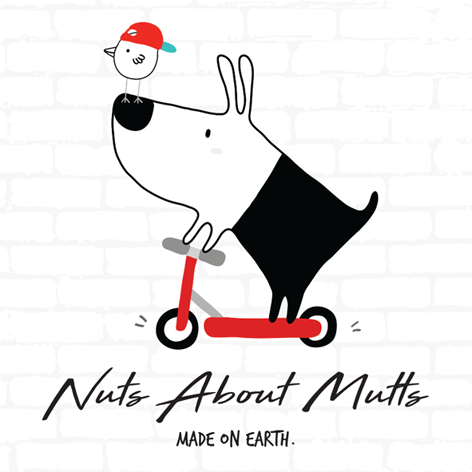 - please email info@nutsaboutmutts.com.au for a shipping quote. Cotton dog collar made to order. Processing time approx 5 days. 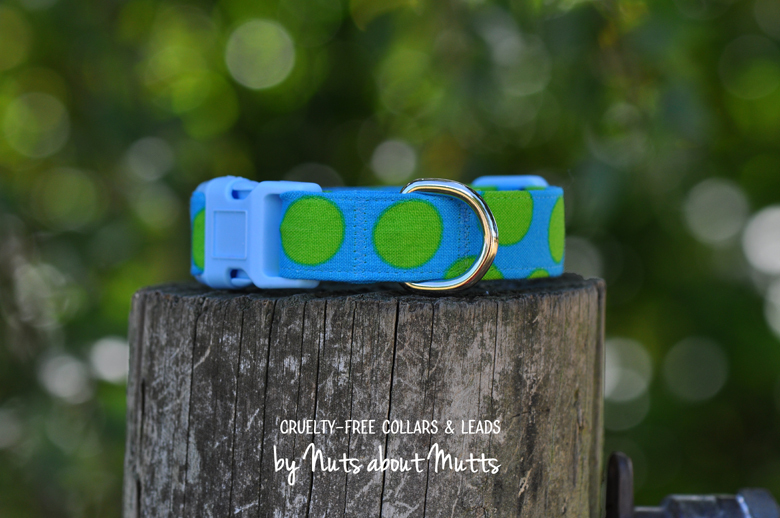 Fun and colourful lime green dots on a turquoise background with sky blue buckle. Gorgeous! Suitable for dogs with sensitive skin. Matching bowties available. Small, fits neck 20-30cm. Collar width 20mm. Sm/Med, fits neck 25-35cm. Collar width 20mm. Medium, fits neck size 30-45cm. Collar width 20mm or 25mm. Large, fits neck size 40-55cm. Collar width 25mm. Matching leads not available in this style. Don't see your dog's size here? Please email info@nutsaboutmutts.com.au and we'll make one up for you!